The HP Head is the next generation revolving head assembly for the Davenport 5-spindle machine. 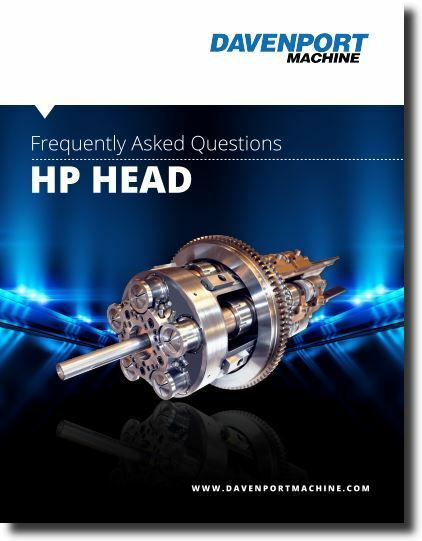 Davenport Machine has received a number of questions about this state-of-the-art machine head, so we decided to compile all the answers for you in our HP Head Frequently Asked Questions Guide. What makes the HP head different from standard heads? What are the main benefits of the HP head’s design? Why do HP heads have lower operational costs? Simply fill out the form to your right for your free copy.